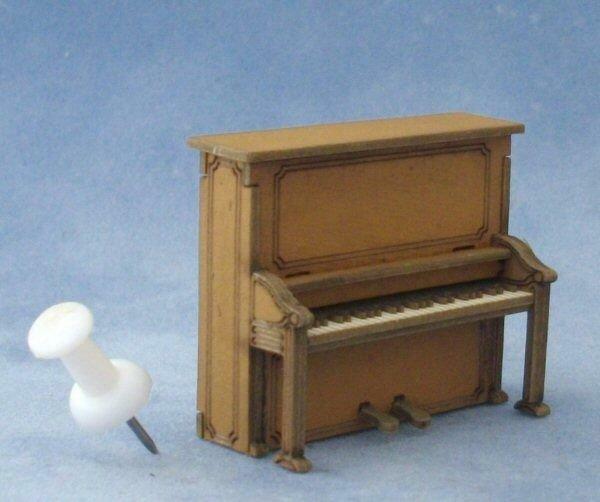 Upright piano kit suitable for 1/48th scale miniature dolls house. 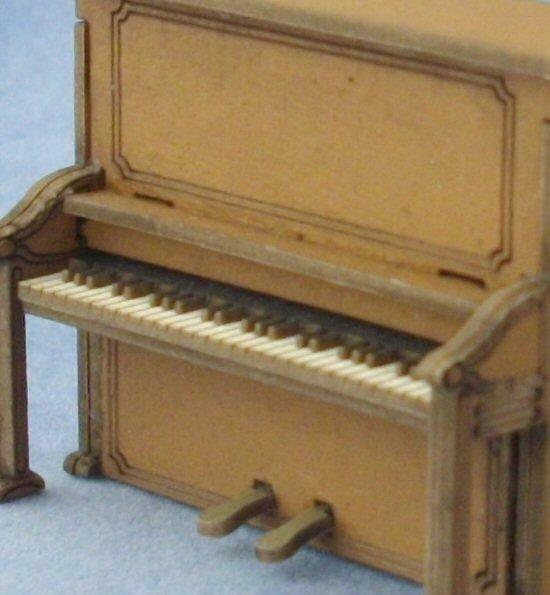 The kit is made from laser cut painted card. 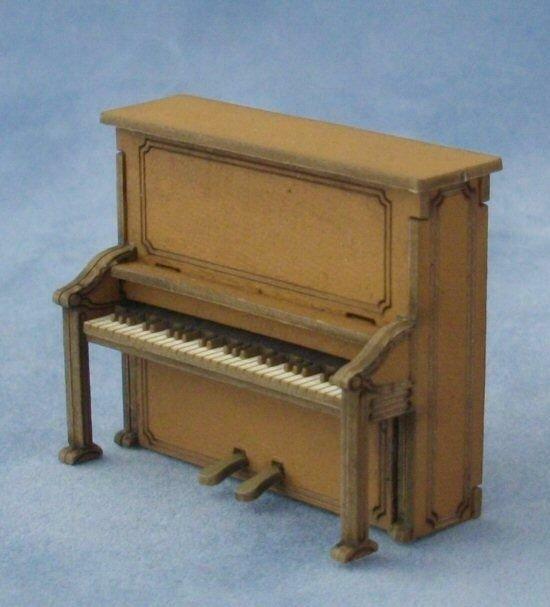 Piano can be left as it is, in the brown colour it comes in, or repainted in your prefered colour. Measure 33mm tall x 40mm wide x 17mm deep.